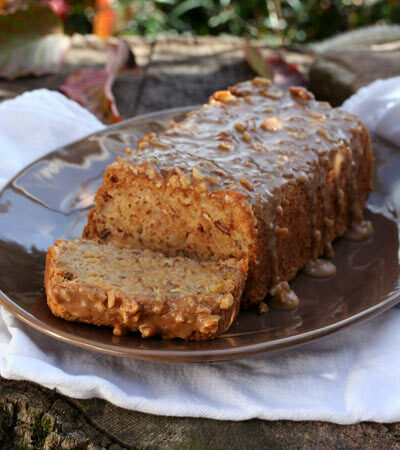 A delicious vegan apple praline bread recipe. Good with a vegan cream cheese spread. 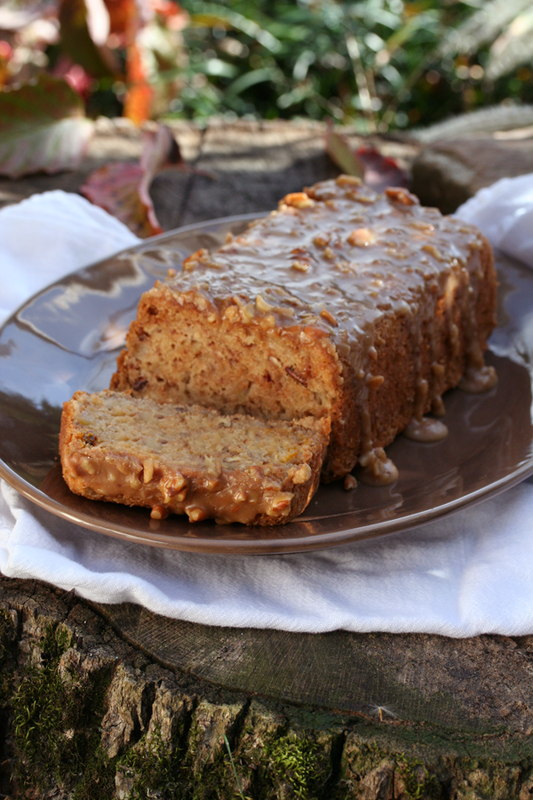 Want to know what others thought about this recipe? Would you like to comment on this recipe? Go to the Vegan Apple Praline Bread blog entry. Lightly coat the inside of a 4" X 8" loaf pan with canola oil and lightly flour. In a small mixing bowl mix all wet ingredients: almond milk, vinegar and vanilla. Set aside. Next, in a large mixing bowl mix all dry ingredients: all purpose flour, whole wheat flour, sugar, egg replacer, baking powder, baking soda, salt, cinnamon. Combine well and stir in apples and pecans and mix well, making sure the apples are coated with flour and separate from each other. It's good to use your hands for this part. Last, mix the wet ingredients in with the dry and stir without over stirring. Place in oven and bake 55 to 60 minutes. Let cool for about an hour before making the icing. For the icing, with a fork mix brown sugar and confectioner's sugar in a small saucepan. Add the margarine, almond milk and vanilla and mix well. On high heat bring to a quick boil and reduce heat to Medium-high. With a timer, time for exactly 1 minute, stirring constantly. Do not over boil. Remove from heat and add the pecans. Beat with a fork for one minute to cool, pour over the center of the cake and spread it to the sides.